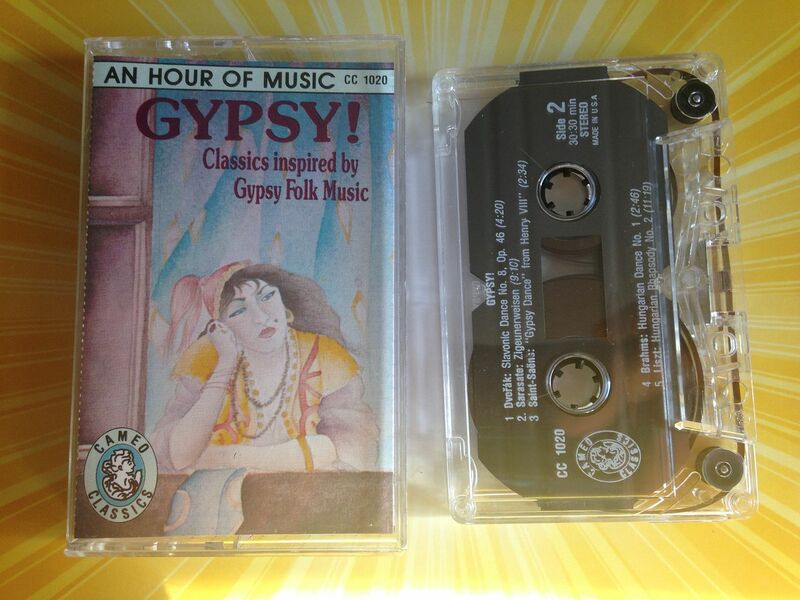 While browsing the cassettes for sale at Savers I came across this one which had the word "gypsy" on it huge and right for me to see. I've been seeing the movie soundtrack on cassette but when I saw that this was something I hadn't seen before I had to buy it. Needless to say one of the first things I did after listening to it was look it up online and try to find more information about it. I found a Cameo Classics website at cameoclassics.com but it told me it was forbidden for me to go there so that was rather strange. I did, however, find it on Amazon (most everything appears to be on there) though somehow it has different cover art. This falls under the genres of "folk" and "classical", but it leans more towards the classical side as you can probably tell since composers you should already know such as Brahms are on here. I mean, at this point in my life, someone could tell me a cassette was "an hour of gypsy hip hop songs" and sell me a Kid n Play cassette and for a dollar I'd buy it just because. But whatever label you put on this it is still a fine collection of songs and something that really you should be listening to if only to broaden your musical listening experience. Though, I'm not sure if you should pay $5.99 for the cassette that an Amazon user wants and you might be able to get this cheaper on a different site such as eBay and if not just keep an eye out for it at thrift stores and if you see it there then do spend the dollar or so because it is worth it. One of the things which does bother me about this cassette- now that I've looked it up on the internet- is that there appear to be two different covers, the one I found and the one on Amazon. 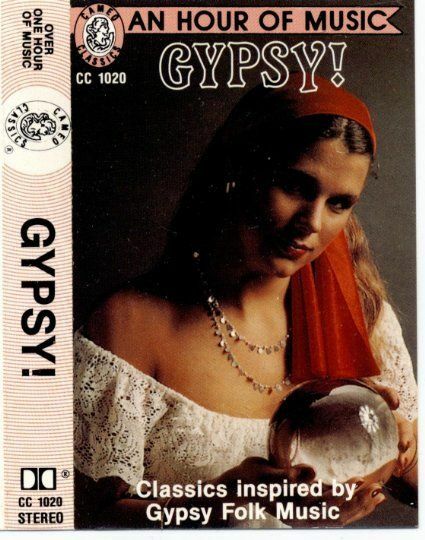 On Amazon, the cover has an actual person dressed as you would expect a gypsy to dress (you know, almost like a pirate) and she is holding a crystal ball. 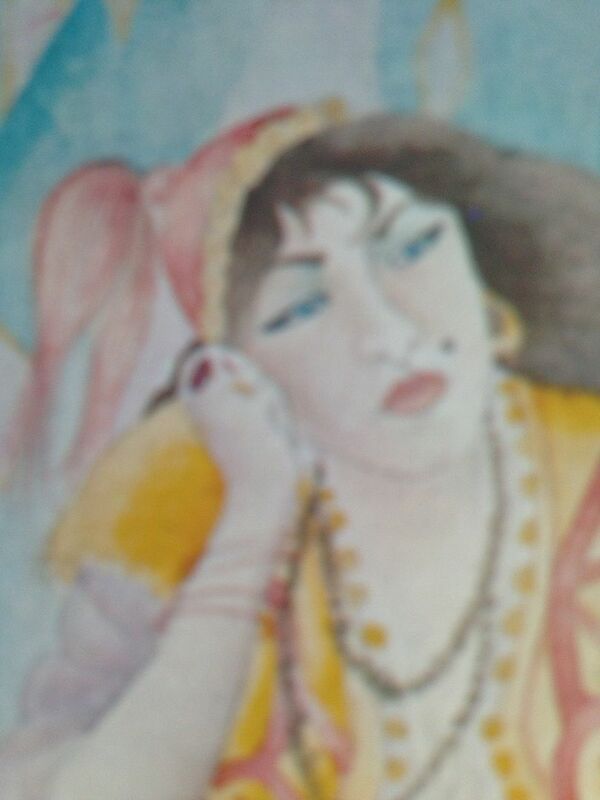 However the artwork on the cassette that I found appears to be more of a drawing (maybe even perhaps a painting) of a similar woman looking pensive and really, if you made that image into artwork for a CD it looks like the type of thing you might find for sale at Starbucks as one of their exclusive music samplers. 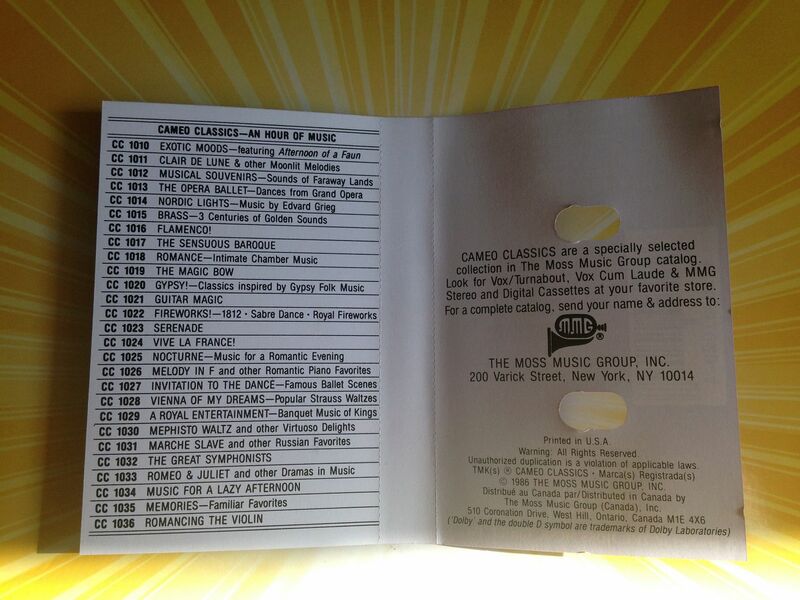 Still, the photos I provide show you the song listing and if you don't have the time to go through and find each individual song then at least listen to each of the artists so as to create a good starting point for your journey into perhaps music you haven't really listened to before. 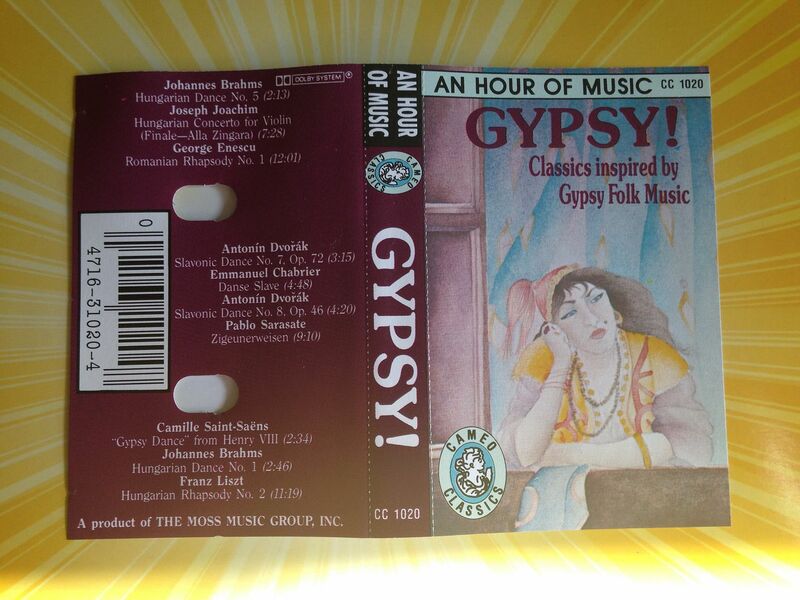 I've never really listened to a lot of classical music before but I do feel like this cassette serves as a good introduction to it and now I'm on my way to really just begin listening to classical music and opening a door I should have a long time ago. If you can imagine this music played faster and harder it could be Gogol Bordello and yet somehow hearing it simply as it is now has me appreciating a band like Gogol Bordello that much more. 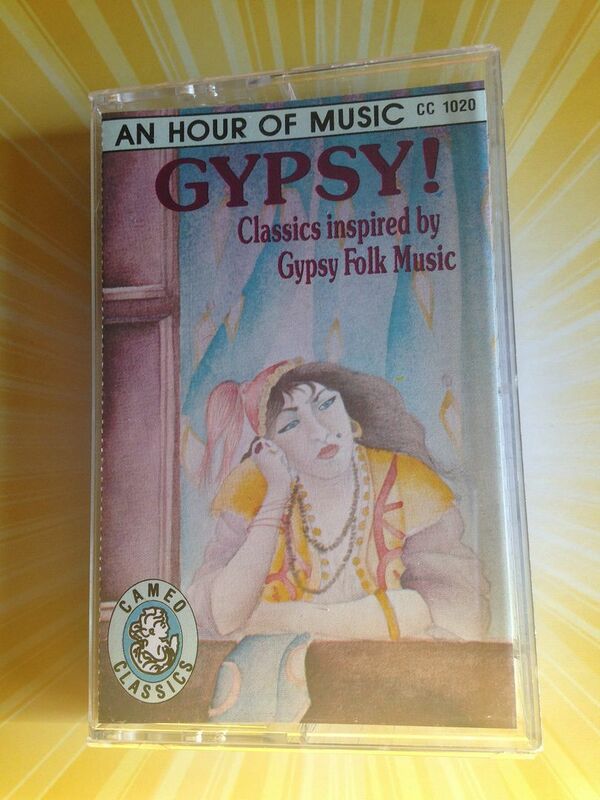 So thank you 1986 and whoever donated this cassette to Savers for helping my quest for further music knowledge.